We were in the London Borough of Croydon at a home in Purely to design and install some of our bespoke shutters to a 3 section bay window. 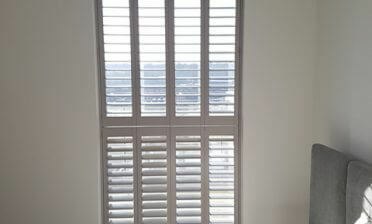 Our shutters look great on bay windows, with most clients opting for a tier on tier or cafe style solution. On this project the client opted for the tier on tier style of shutters, which allows the shutters to be independently adjusted, opened and closed because of the split halfway up. 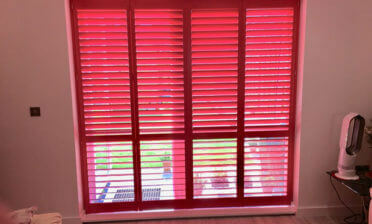 In fact they are our most versatile shutter solution! Mark arrived first at the home to take exact measurements so that in combination with the clients own ideas and taste, we could come up with the ultimate window dressing for their bay window. By having our Surveyor take these measurements we insure the perfect custom fit of shutters which is then handed over to our team of Fitting Technicians to accurately install. 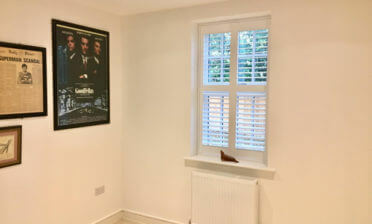 On this build Shaun and Roy were at the property to install the shutters. As you can see the shutters look great, built into the existing window recess and painted in a pure white with white hinges to seamlessly blend into the area. 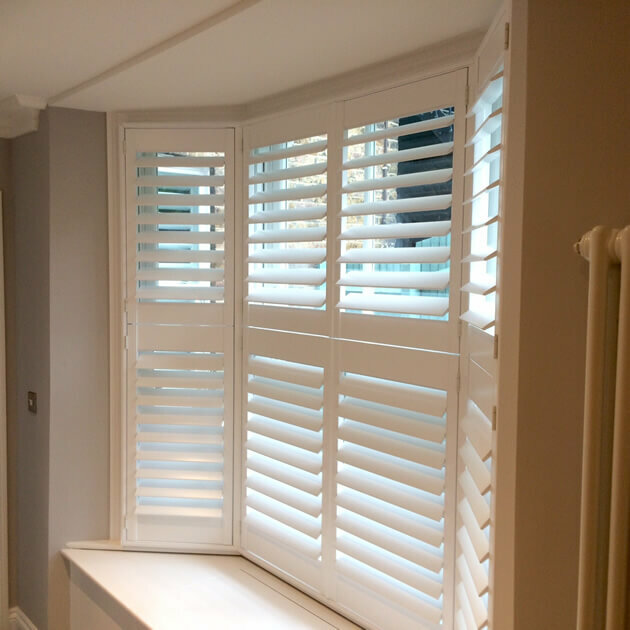 The shutters are created from our Fiji Hardwood Range and have 89mm louvres with a silent tilt rod system, which makes for a minimalistic appearance and can be adjusted without the need for any rods attached to the shutters.